Massachusetts « R-V There Yet? It is difficult to relate to a place until you’ve seen it. Boston, Massachusetts is just such a place. The Boston history predates our Texas history by more than two centuries. We’re not going to bore you with overwhelming historical data. For more information, CLICK HERE. 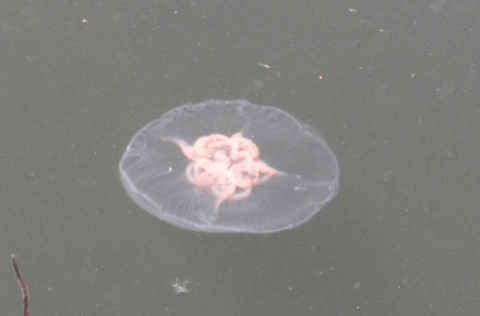 When we boarded the cruise, we noticed that the harbor water near the dock had a high population of jelly fish. 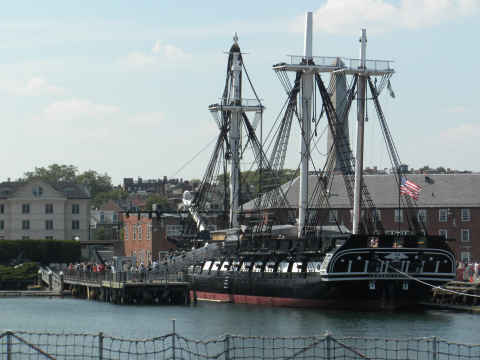 The highlight of the harbor cruise was a view of the world’s oldest commissioned naval vessel, the USS Constitution, also known as “Old Ironsides”, launched in 1797. In order to remain a commissioned vessel, the ship must make at least one voyage per year. On July 4th of each year, the Constitution sets sail into the harbor and returns to port. The frigate ties up to the dock in the opposite direction so that the sun hits the other side for a year, thus evening out the weathering for the vessel. Our earlier morning tour had taken us past many Boston landmarks. The Boston area has one of the densest populations of colleges and universities anywhere. We went through the campuses of Boston College, MIT, and Harvard University. 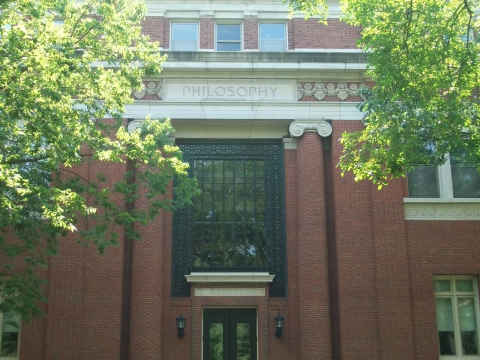 Below is the Harvard Philosophy Dept. Following the harbor cruise, we jumped on a trolley that wandered the entire city with stops throughout. You can hop on and off the trolley at any of the stops. 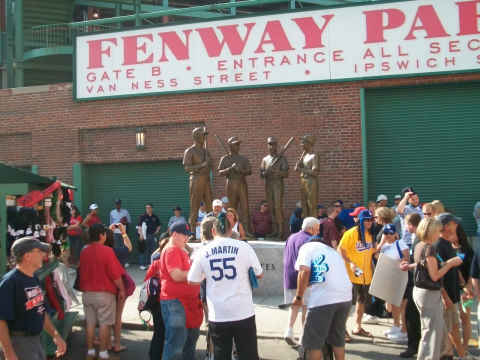 Along the route, stops included areas such as Paul Revere’s home, Beacon Hill, King’s Chapel, China Town, Boston’s waterfront (Boston Tea Party site is being refurbished), and Fenway Park. 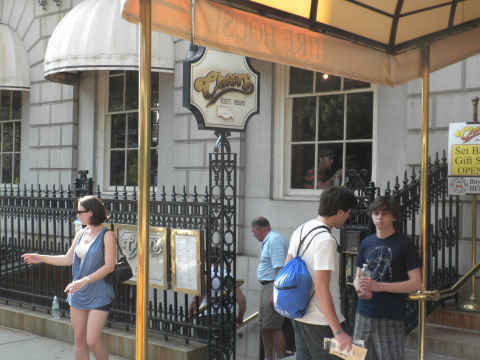 Other less noble spots included the Cheers bar. 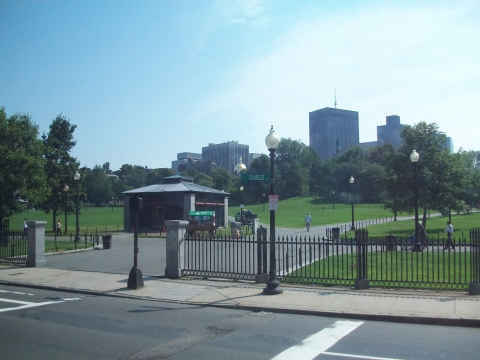 Below is the famous park, Boston Common. Not only is it a nice park, but below the surface is a giant parking garage. An elevator in the center of the park takes you to the garage. Our parking for the day was about $24.00. 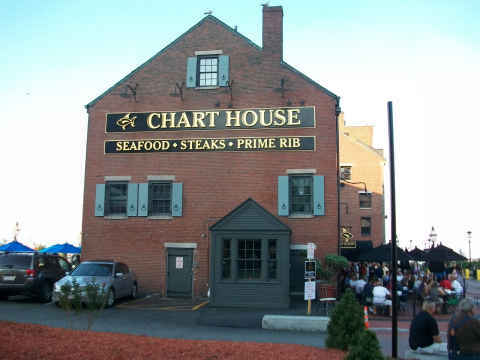 We finished our marathon day with dinner at the famous Chart House Restaurant. 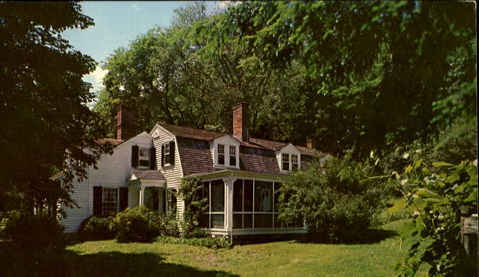 This building was used by John Hancock for many of his businesses. 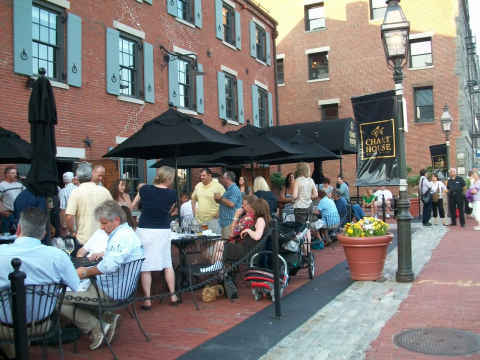 Many people were enjoying the outdoor tables. After a long hot day, we opted for the comfort of the indoor air conditioning. Tinka is still looking refreshed after the long day. The wood and iron work inside was impressing. 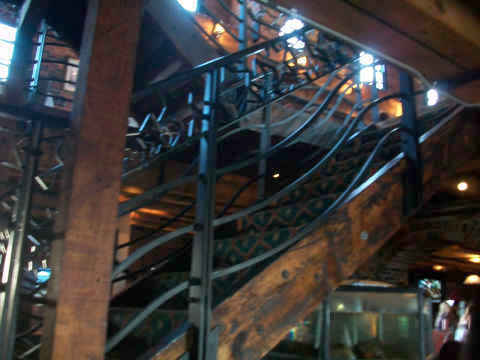 The staircase, next to our table, has seen a lot of traffic over the years. We made our way, by taxi, back to Boston Common to retrieve our car. All in all, we had a great day. 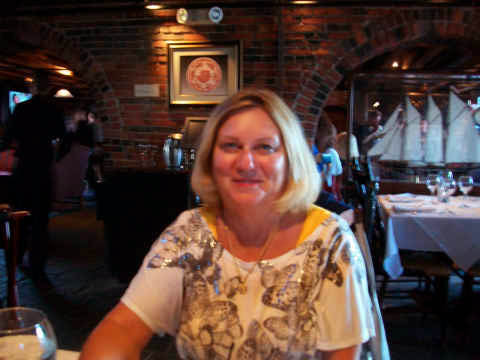 Neither of us had been to the Boston area before and found the history fascinating. We started out on our marathon 14 hour tour of the Boston area with a ride through the historical towns of Lexington and Concord. These towns were instrumental in our nation’s history. 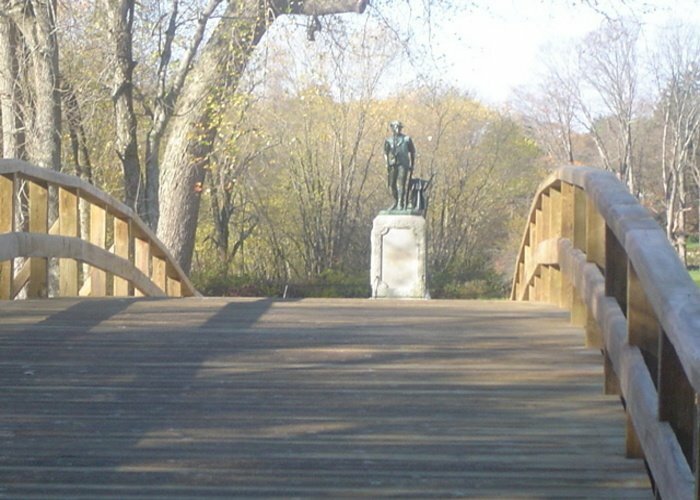 The battle of Lexington and Concord initiated the Revolutionary War. Some stories indicate that one of the first shots of the war were fired by Elisha Jones from his home that is know known as the “Bullet Hole House“. 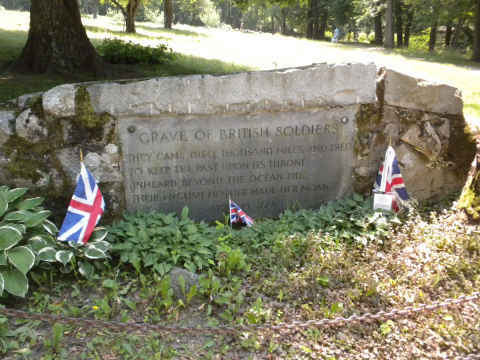 A shot returned by one of the British Regulars (soldiers) struck the house and the resulting bullet hole has been preserved. 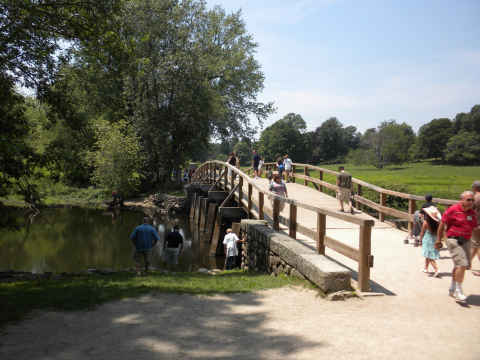 The main battle took place at the Old North Bridge, only a few hundred yards away. 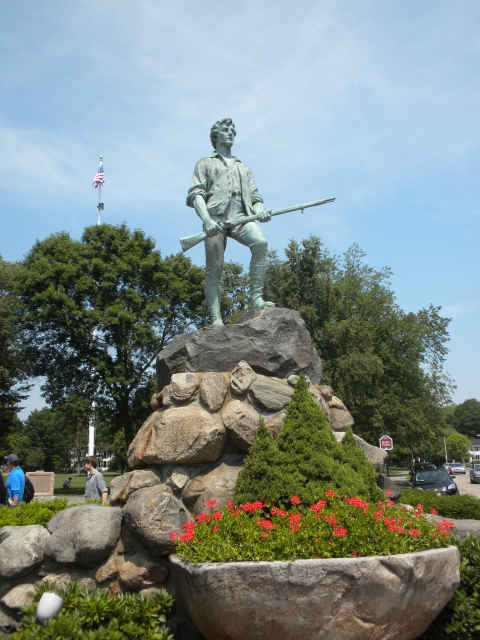 A statue in Lexington honors the Minutemen, teams of colonial militia that met the British Regulars initial advances. 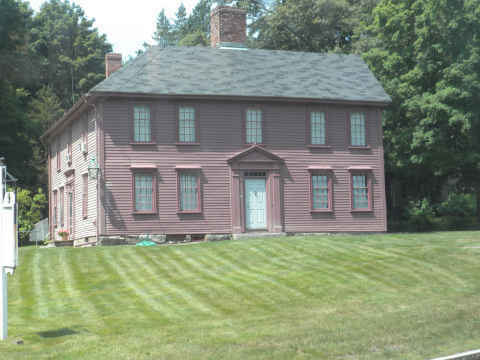 The meeting place for the Minutemen, Wright’s Tavern, still stands. It is also the meeting place of the Provincial Congress. The Revolutionary War, notwithstanding, the town of Concord has many other bragging rights. 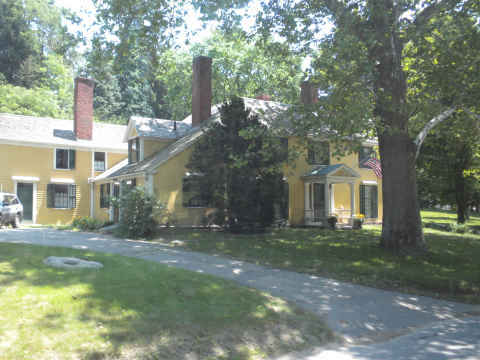 Along the same street (Lexington Road) where you find the Bullet House, the homes of many notables can be found. Ephraim Bull, who developed the Concord Grape had a nice little place, built in the 1600’s. 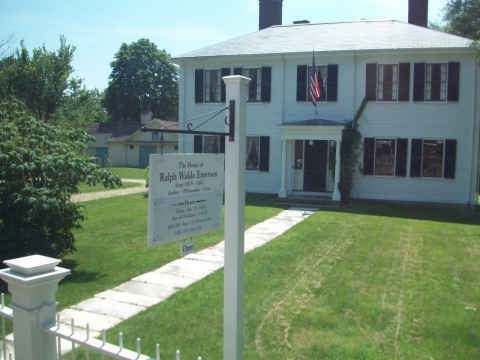 On down the street you find Ralph Waldo Emerson. 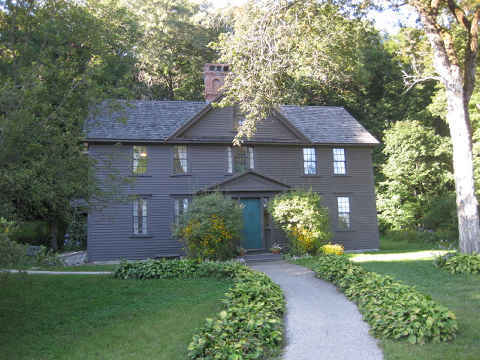 Then there’s Orchid house, home of Louisa May Alcott, author of “Little Women”. Other neighbors included Nathanial Hawthorn and Henry David Thoreau. These neighbors lived so closed together, except perhaps separated by decades or centuries.